Your child is forced to deal with various attacks on his self-esteem on a regular basis. Whether these attacks affect him long term or not has to do with many different factors. One type of attack that we want to address in this report is the common “Bully.” Bullying has always been a part of growing up, but how a child deals with it and the repercussions of dealing with it have changed dramatically. There are “Zero Tolerance” rules that punish both children if there is an altercation, (which may have been caused by one child bullying the other.) So the old “If they hit you hit ‘em back!” doesn’t fly today. So what is your child to do? First off all we must recognize that incidences of bullying vary in severity. One thing that is certain is that repeated attacks whether verbal, physical, or written (yes written, there have been reports of children being bullied through email!) erode your child’s fragile self-esteem. The CDC linked bullying to isolation, drug use, violence, and suicide! But your child does not have to be a victim! The assault can be verbal of physical, either way the first line of defense remains the same. Self-Confidence! Here’s why. Bullies choose their victims much like a criminal would choose their victim; they go for the easy and obvious target. So if your child looks like a kid who will get bullied, guess what, they’re going to get bullied. 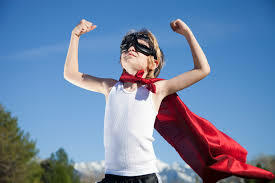 On the other hand if your child radiates self-confidence they are less likely to be a victim, it’s almost that simple! Your child needs to walk with their head up; their shoulders square, and make eye contact with people. Just doing so, even if your child needs work on their self-esteem, will keep bullies away from them. This is easier said than done, but it can be learned. So having them change their body language (what they are saying non-verbally) will have a huge impact. Teaching this can serve as a quick fix, however, going to work on their self-confidence will have a greater long-term affect on keeping bullies away. Children get their first layer of self-confidence from parents. The love you show your child and the time you spend with them gives them their feelings of self-worth. In fact it has been said that the number one role of parenting is develop a self-confident individual. Teach them how to speak up clearly when they first meet someone. Teach them the importance of making eye-contact when they talk to you. Get them out of their comfort zone and have them explore new things. The more you have them confront fear and discomfort the more confident they will become. I get feed back from parents all the time about how great our martial-arts program is for developing self-confidence. Many parents tell me how we reinforce many of the values they are teaching at home. What we’re teaching has more of an impact because it’s coming from another source. Many parents also compliment our martial-arts program for teaching their kids about other values that add to their self-confidence. I guess kids learn by doing, and when they begin to accomplish goals that they didn’t believe they could their self-confidence gets a boost, which then affects every area of life making them less of a target for bullies. The next layer of defense is to create a boundary. I teach children how to protect their space with an assertive body posture. Feet apart a little, one foot in front, shoulders square, chin up, eye contact, and most importantly, hands up as if making a Stop Gesture! We call this our self-defense stance. Its purpose; to communicate neutrality, awareness and, assertiveness. This stance is designed to get them out of trouble. Finally, your child will have to use their words. Simple phrases and commands said in an assertive voice will tell the bully that they will not be a victim. Simple commands like; Stop, Back Off, Back Away! Said in the right tone will stop the bully in his tracks! This is useful because the days of school yard fighting are over. It is valuable for your child to know how to defend themselves if the situation arises, but just the feeling of being competent in self-defense is an obstacle to a potential bully. As you can see dealing with a bully has its challenges, there is no one way that works every time. However, when your child develops high levels of self-esteem, and self-confidence a bully’s words or action will role off them like water of a duck’s back. I would love to help your child develop greater levels of self-confidence just like I’ve helped so many local kids over the years. Give me a call at 215-334-9000 and I’ll show in so many ways how martial-arts is the best program you can get your child involved in.